Anna Lyudvig (AL): Calle, can you, please comment on the infrastructure development in Namibia? 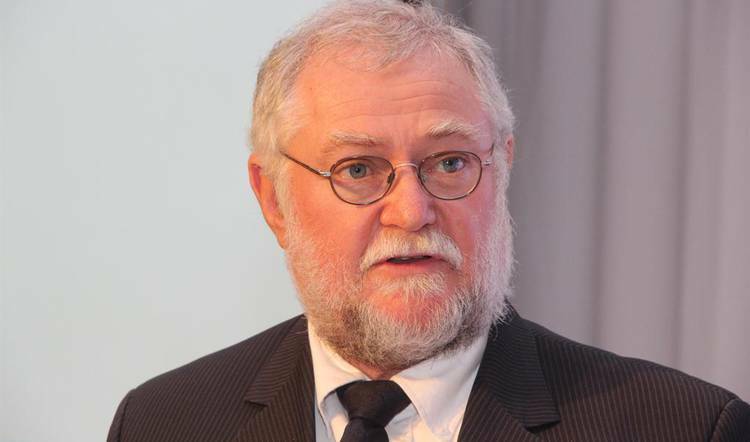 Calle Schlettwein (CS), Minister of Finance, Namibia: Like many African countries, our infrastructure development programme is left behind and we have to improve infrastructure quite significantly. We have done well in the road infrastructure (mainly surface roads and railroads). Now, we are positioning ourselves as a logistics hub where we want to have an integrated approach with regards to transport infrastructure. We have a good set of infrastructure, which is a good starting point, but that is only concerning the infrastructure for transport. Our power infrastructure is prerequisite for industrial development, but so is infrastructure for education, for health, for water provision, for agriculture and ITC. So, the whole infrastructure needs to develop, but the problem is how to fund that development and how to accelerate the creation of that infrastructure without overburdening our financial abilities. That’s where PPPs are coming in. We want to leverage private sector capital to bring about and accelerate a development of infrastructure and a long term sustainable situation. AL: So what’s your planned funding for infrastructure projects in 2019? CS: We plan to have 10% of total public capital expenditure in infrastructure development. It’s a diverse set of programmes that we’re going to fund. There are transport programmes, there are infrastructure developments in education, there are significant components in manufacturing, agriculture, ITC, water and power provision, and in health. AL: Is there an Infrastructure Fund in place? CS: No, we have no infrastructure fund. We were looking into a creation of an infrastructure bond type of an instrument. We are working together with our own development institution, the Development Bank of Namibia, to bring that about. From a risk management aspect, we have to satisfy the needs of the pension funds the potential investors - to make it secure and profitable in the long term. By the end of 2019 we hope to have that infrastructure bond in place. AL: Speaking of pension funds, what’s their current allowance to invest in infrastructure projects? And are there any plans to increase that allowance? CS: We have tweaked our legislative framework; we allow more generous provision for equity investment by pension funds; and in the unlisted investments they can allocate 5% of their capital. Our pension funds are very well regulated. They have been rated the best performing funds in Southern Africa. We are doing well on the investment side and on the security side of these pension funds. We are still trying to do better in leveraging their investment into our local economy instead of exporting that capital. AL: How do you see the role of private equity funds in infrastructure development? CS: Their activity would be very welcome. Our capital market is not very di- verse with only a few instruments and it’s completely dominated by government bonds and bills. So private equity operators are coming up. They are increasing activity and impact, they are very successful in the unlisted component. We, of course, hoping that they will grow and diversify of instruments in the domestic capital market will create new opportunities. AL: What are your objectives for the next 12 months? CS: The main objective is to make sure that our economy starts to grow again - that’s the overall objective. We have to maintain our stable macro- economic framework with enhanced quality in economic growth, i.e employment and especially youth employment, less inequality, an improved productive capacity. To achieve that we have to look at fiscal policy (the revenue and expenditure), monetary policy, industrial development. We must use all policy space available to stimulate growth and I’m quite confident that we will achieve it.